As a Kinesiology major, I know many active people that are concerned with their health and are aware that the overall quality of health of an individual can be improved by engaging in physical activity and regular exercise. One of the popular topics of conversation and something that is seen on a regular basis in advertisements is the use of protein supplements, which are supposedly helpful in keeping an athlete active and strong throughout tough workout regimens. Personally, I was first exposed to the idea of an increased protein diet from my younger brother, who is a high school athlete that engages in a high amount of physical activity on a daily basis. At the young age of fifteen, he was already drinking whey protein after workouts, began to eat protein bars on a regular basis and was even told by his coaches that protein can help with athletic success. Specifically, this made me question how exactly a diet consisting of an abundant amount of protein help an athlete. Is this practice really beneficial in exercise recovery or can a diet that is very high in protein lead to negative effects on an individuals health? I feel like all athletes and active people alike pose these questions to themselves; however, never seek out true answers. People fall into the trap of believing everything that advertisement companies say in order to sell their products. Athletic success is one of the most important concerns to an athlete at any age and many individuals will try anything that may aide in an increase in overall performance. The article spoken about above was very informative in describing why a high level of animal protein in a person’s diet was detrimental to overall health; however, I wanted to discover more about specific protein supplements used by athletes in addition to a diet high in protein rich foods. This question brought me to an article written by a nutrition counselor, Nancy Clark, from SportsMedicine Associates in Brookline, Massachusetts (3). Featured on www.active.com, the entry titled, “Athletes and Protein: The Truth About Supplements,” did a wonderful job in explaining an athletes true need for protein. Clark describes that only 10-15% of total calories need to come from protein. Of course, the more calories that are consumed, the more of a percentage of those calories will come from protein. We all know that athletes are hungry and require a greater caloric intake than sedentary individuals, which often stimulates the common misconception that athletes need more protein. However, Clark also made a point in explaining that an athlete can get the adequate amount of protein needed from a healthy diet. If this is statement is true, in addition to the fact that when the body’s fuel is scarce it can use protein for energy, then, it is common to think that the more protein that is consumed, the more energy the body can make for increased athletic performance. This common thought; however, is false because even though the body is able to use protein for energy in certain situations, it is not the primary source of energy in the body, carbohydrates are. When an athlete eats foods that are high in protein, it may limit the amount of important carbohydrates from the diet. 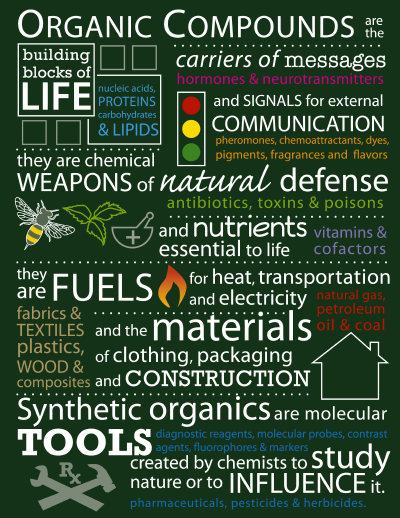 The production of energy, overall, in a person’s body stems from the production of energy in each individual cell through a process called cellular respiration. This process consists of 3 steps, when oxygen is present, glycolysis, the TCA cycle and the electron transport chain and can be refereed to as aerobic respiration, primarily used by athletes that train using muscle-building resistance exercise. Cellular respiration can also happen in two steps, glycolysis and fermentation, when oxygen is not present for the body to utilize, which takes place when an athlete is taking part in a long duration of vigorous intensity exercise. In this situation, much of the oxygen is depleted and is used quickly rendering the body unable to primarily use the oxygen it has left in the blood and tissues for energy production. When oxygen is available in cellular respiration, aerobic respiration, the cell uses glucose, which is a 6 carbon sugar molecule, retrieved directly from the carbohydrates a person consumes, to start to make energy. This energy can be referred to as ATP, or adenosine triphosphate. The glucose molecule is first fed into the initial step of cellular respiration, glycolysis, and is changed multiple times into different molecules with the help of enzymes and other factors, ending with the production of 2 molecules of ATP, two molecules of NADH and 2 molecules of Pyruvate, a three carbon molecule. The 2 molecules of NADH are mainly saved to use in the third step of aerobic respiration and pyruvate is used in the next step, the TCA Cycle. A single molecule of Pyruvate, one at a time, is converted into Acetyl-CoA in order to enter this cycle. 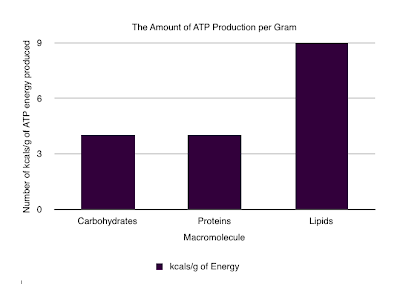 After the cycle is complete, the cell will have produced two molecules of ATP, which is added to the 2 molecules already produced in glycolysis, totaling 4 molecules of ATP thus far. The TCA cycle also yields 8 molecules of NADH, 2 molecules of FADH which are used in the following, final step of aerobic cellular respiration along with the 2 molecules of NADH from glycolysis. The electron transport chain is the final step and uses the ten total molecules of NADH and the two total molecules of FADH to create a proton gradient and give the electrons from each molecule to a sequence of electron carrier complexes. Each complex is at a lower energy level and as the electrons are passed, energy is released and used to to pump the protons, from the gradient that was created, across a membrane, to the final electron acceptor, oxygen and specifically resulting in 28 molecules of ATP and water, a bi-product. This whole process of aerobic cellular respiration ultimately makes a total of 36 molecules of adenosine triphosphate, or ATP. When the body does not have oxygen; however, it is not possible to go through the TCA cycle or the electron transport chain. The molecule of glucose is pumped through glycolysis, yielding 2 molecules ATP, 2 molecules of pyruvate and 2 molecules of NADH. The 2 molecules of ATP can be used for energy; however, the pyruvate is exposed to the enzyme lactate dehydrogenase and forms lactic acid, which builds up in the muscles. As you can see in the photo above summarizing metabolism, in the electron transport chain, the ATP produced can then also be recycled, turning into ADP (adenosine diphosphate, seen in the Marvin Sketch window at the bottom of this blog). The breaking off of the third phosphate group of the ATP is what gives a majority of cells energy to do work. What many people may not know, even those familiar with anaerobic cellular respiration, which I discovered (4) is that the lactic acid that builds up in muscle diffuses into the blood and can be utilized for energy or can be taken to the liver and used to create stores of glycogen which can, in turn, be tapped into for molecules of glucose in order to start up another cycle of energy production, or cellular respiration. It is seen through the information gathered that even though carbohydrates are used primarily for energy production, proteins and fats can be used in cellular respiration as well under the circumstances that the level of carbohydrates in the body are low. Proteins will yield slightly less energy than carbohydrates when looking at a single gram but averaging at around the same amount of energy, and when fats are used, one gram of fat will yield more than twice the amount of energy than one gram of carbohydrate. So in no way is it more beneficial for an athlete to use mostly proteins, at just under 4 kcals/g of energy, instead of the commonly used, primary source of energy, carbohydrates, at around the same 4kcals/g of energy; however, there is a benefit to utilizing fat stores due to the high, 9 kcals/gram, of energy produced from the oxidation of lipids. Knowing now that protein only makes up some of the energy produced by the body when carbohydrates are not available, I found an interesting study that showed that even an increase in protein intake, far above the amount you ingest during a mixed nutrient filled meal, will not stimulate muscle protein synthesis any more than when you provide your body with the essential amino acids needed through healthy eating alone. In a study done by scientists, Bohe, Low, Wolfe and Rennie, at the University of Texas and the University of Dundee in the UK (6), it was proved that the amount of amino acids that are ingested does effect your muscle protein synthesis; however, too high of a level of amino acids can cause synthesis to plato. When the level of essential amino acids in the blood are raised from basal/fasting levels by 50-80%, synthesis of muscle protein shows a linear increase, but once above that level, the synthesis is saturated. This seems to prove that even though essential amino acids are necessary for synthesis, the level at which synthesis is active is within a narrow range. Too much protein intake can therefore cause a reduction of muscle protein synthesis because of the saturation that is activated when the concentration of amino acids available to use is too high. When seeing that carbohydrates are truly responsible for the primary production of energy, I went back to my younger brother with this newly found information and I was faced with one last question about a common idea which athletes believe to be true about the intake of additional protein. After exercise, will ingesting a protein enriched supplement, such as a shake or snack bar, increase the speed of glycogen synthesis resulting in faster recovery? According to a study done by scientists, Hall, Shirreffs and Calbet, that was published in the Journal of Applied Physiology, there is no additional benefit when consuming a combination of carbohydrates and proteins when compared to consuming carbohydrates alone after exercise (7). The additional amount of protein that was ingested, that was once thought, when paired with carbohydrates, would increase the rate of glycogen synthesis actually does not have significant differences from ingesting carbohydrates alone. The coingestion of protein and carbohydrates after exercise as well as the ingestion of carbohydrates alone both did however, result in a greater synthesis of glycogen when compared to a placebo, water model. This tells us that carbohydrates alone, can be just as beneficial to our bodies in recovery as a protein-carbohydrate supplement. The extra carbohydrates needed after a bout of exercise that can increase glycogen synthesis can be obtained by eating a healthy snack, rich in complex carbohydrates such as fruits, vegetables, whole grains and legumes (8). Therefore, from all the information complied in this blog, I now believe it is possible to finally conclude that additional protein intake after exercise and a diet high in protein, especially when paired with an inadequate amount of carbohydrates, can overall be more harmful to your heath than helpful when trying to increase performance and athletic success. You had a really cool topic! When I read the title, I felt like I HAD to read it! 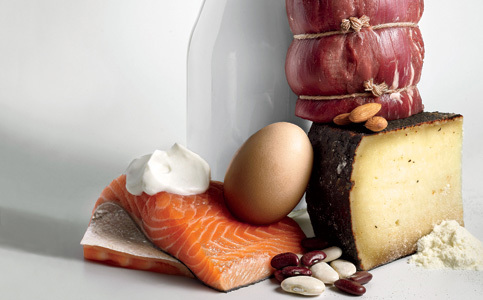 Consuming a diet high in protein seems like general knowledge for weightlifters. But, you're so right in that no one ever really questions why, or the implications consuming so much protein can have on the body. Overall, you have done a fantastic job with your blog post. My only criticism is that the font on the page is really small so it makes it difficult to read. Otherwise, I think you did a really great job explaining the concepts you discovered in your research. Also, I liked the way you wrote your post, in terms of the fact that I could see your thinking process which was really cool. You had a question that you were seeking an answer to and then as time went on with your research, you had other questions which you also answered in your post. Great job on your post! It was easy to follow and very entertaining. I like how you related this to something occurring with your family because this information is useful to them. I thought that you explained major topics well, especially when you described the metabolism. However, this could have been more easily to follow and understand if you would have numbered or ordered the explanations according to the diagram you have provided on your page. I know that could be a harder task to do, but it would've been helpful to more unfamiliar readers. I thought that your article was well written. It gave information that is not seen by the public eye. 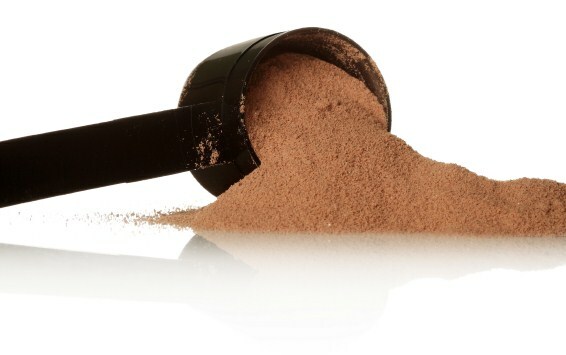 Protein supplements are advertised as a healthy supplement to use when working out but unlike most supplement commercials the downsides such as diseases and medical conditions are not given. I became more interested in the article once reading that diseases such as osteoporosis can result from over using protein supplements. A question that came to my mind that I hear a lot from people and advertisements is protein supplements are taken to help build muscles, but do they actually do that? Informative article! I really enjoyed this topic. I myself do take whey protein after I work out but it is interesting to see that it really is not as beneficial as I thought it was. One thing I would say is that maybe your sources were spread out a little too much instead of focusing on one major article. It might have been nice if you had shown a mechanism of how a particular amino acid was broken down. My question is when I see those TV commercials such as p90X, they highly recommend whey protein with their workouts and the testimonials were very convincing. Is it all just a scam and a money making business? This topic was something I had never even thought about before, especially understanding that taking protein isnt beneficial at all. I actually don't have any critics, since, I learnt something that I can tell my family, since I do know my siblings tend to take protein supplements quite often. I did feel maybe the only thing was, you could have possibly summarized certain parts a little more. Since this was quite a long post. Yeah Green drink is good for increasing our metabolism and very good for losing weight as soon as possible. It gives good results and very healthy for our body.